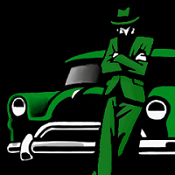 Mafiascene.com - View topic - Who or what are you lookin' at? Who or what are you lookin' at? Posted: Wed Jul 05, 2017 10:09 pm Post subject: Who or what are you lookin' at? Posted: Thu Jul 06, 2017 9:19 am Post subject: Who or what are you lookin' at? but not for good things.